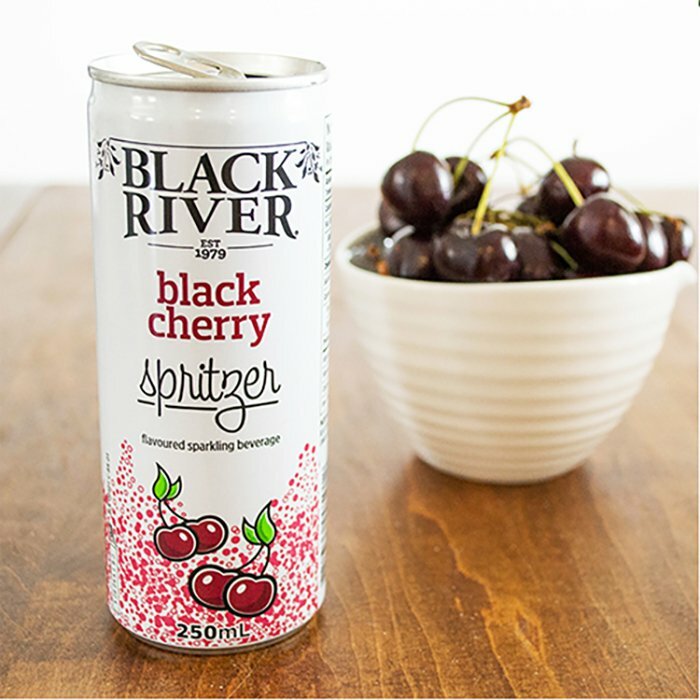 Canadian-owned and operated, Black River Juice had its humble beginnings in the cherry orchards of Prince Edward County. Founded by friends and co-workers, Keith Wallace and Grant Keane, they began by working with local farmers to help them sell the juice from their leftover cherries to Torontonians so not to have any of their crop go to waste. Keith and Grant quickly realized that the demand for this pure cherry juice far outweighed the farmers' ability to keep up, so they bought a small juice press and some canning equipment and started to make the juice themselves. It was a labor of love that involved labeling, ladling and jarring by hand! In addition to the pure tart cherry juice, their first offerings were more exotic, like gooseberry, red currant blend and plum to name a few. 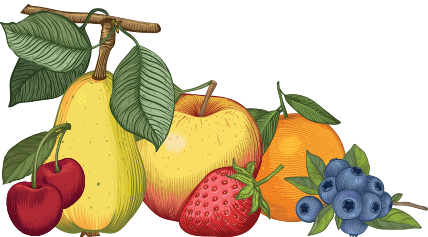 They found there was no need to add sugar or flavorings as they were able to maintain much of the flavour and integrity of the fruit. A brand promise we continue to keep to this day. The unique flavours and natural taste caught the attention of many Ontario retailers and they began to expand distribution to the natural, health food stores in Southern Ontario. Keith and Grant’s mission was clear; to provide no sugar added, preservative free, natural juices and juice blends made from real, local fruit. 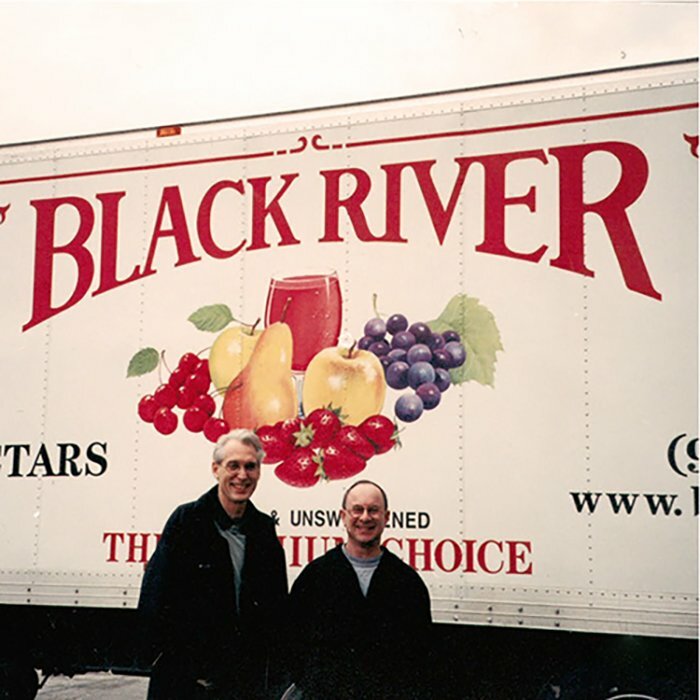 They took it on full steam and formed Black Juice Company, named after the Black River in Prince Edward County which ran alongside the orchards from which the fruit came. 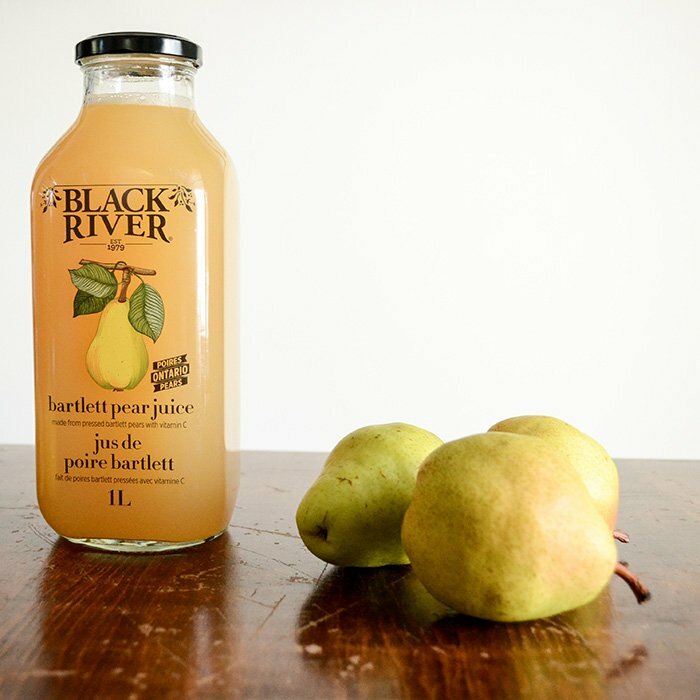 The first 3 varieties to hit the market were pure Montmorency Tart Cherry juice, a Red Currant juice blend and pure Bartlett Pear juice – all packed in a 48oz tin. 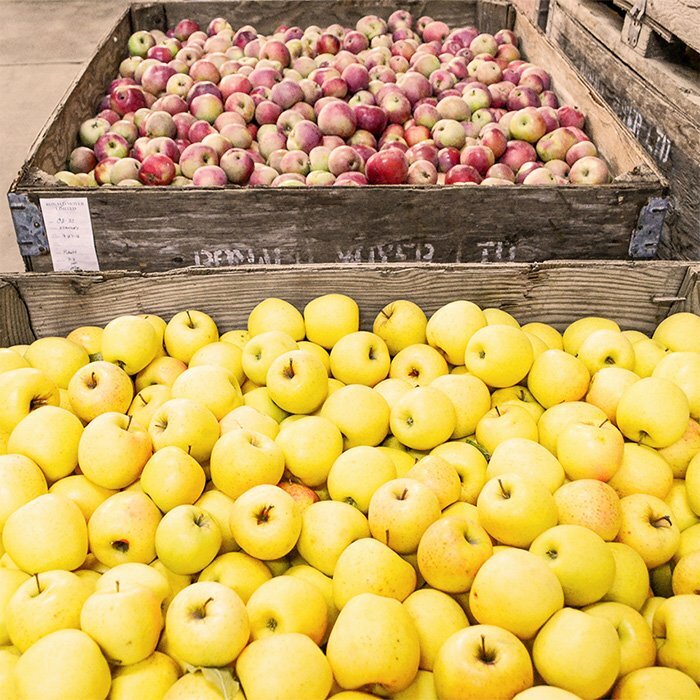 Once they found a local bottler, they started packing in glass and added a fourth variety – apple juice made from exotic apples like golden russet, ida red and cox orange pippen. Keith and Grant moved to Toronto in the early 80’s, with Keith taking care of the production and Grant the delivery. They started hiring drivers and expanded to a 4-person staff. 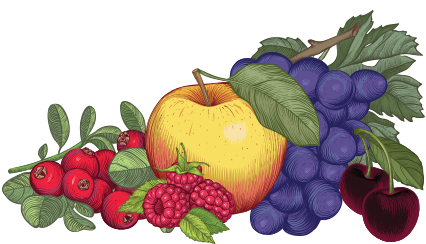 By the late 80’s Keith and Grant expanded their offerings by sourcing fruit from the Niagara area, giving them access to even more local fruits. They also wanted to add more exotic flavors and did so with mango and pink guava. Unfortunately, sourcing these fruits locally wasn’t and still isn’t a reality, so they found high quality concentrates from around the world that met their stringent flavour and quality profile. With the continued product expansion and flavour offerings, they bought their own industrial, hydraulic cold press and moved into our current home on Universal Drive in Mississauga. From there, the rest is history! 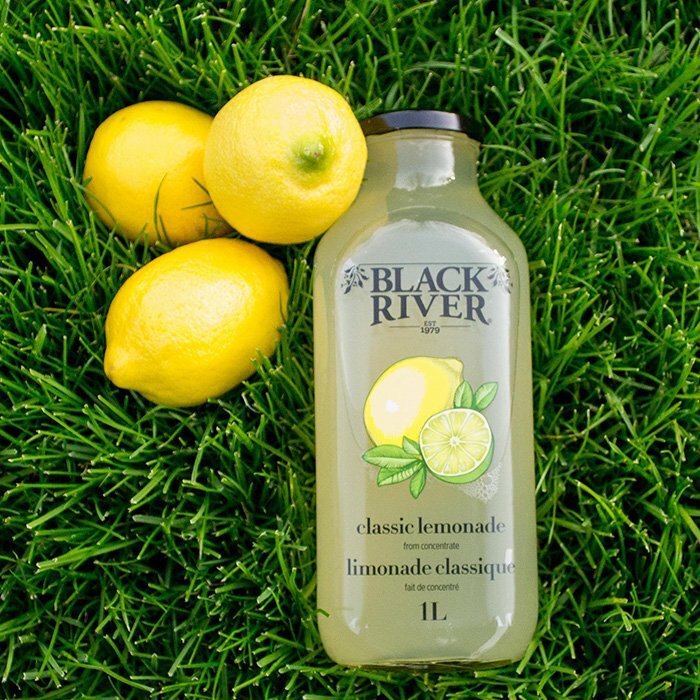 We now have a bustling team, our product line has expanded to over 30 juice offerings plus our no-sugar added fruit juice spritzers and we can be found in quality retailers across Canada.